What does mean this js error ? I've tested right now the demo at http://ckfinder.com/demo with Firefox 12 as well as the beta 13 and both of them work fine for me. Can you try starting Firefox in Safe mode so we know that it isn't a problem due to some extension? This demo working for me too. The issue is coming from two instance ckfinder in the page. Not working in safe mode too. 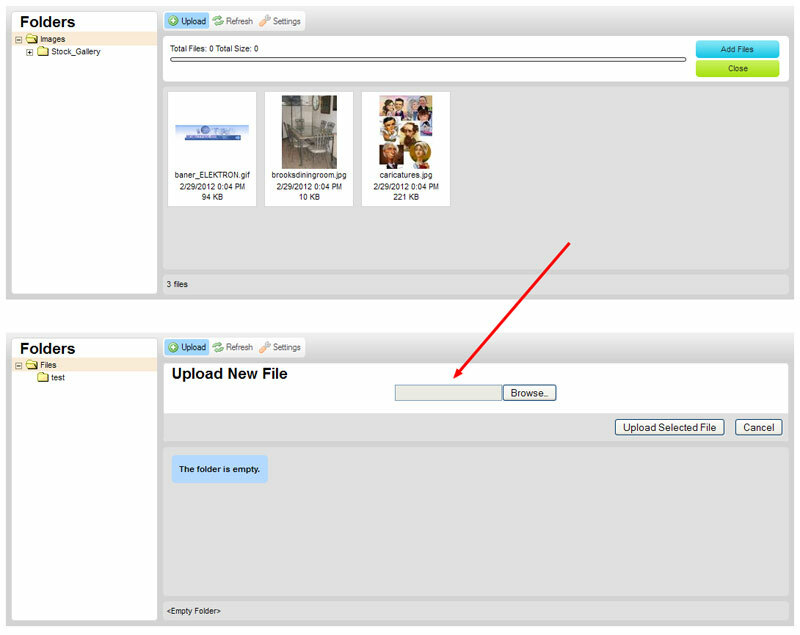 Take a look on second instance, multi upload not working. I've tested that and it worked fine for me. Maybe someone else is able to reproduce the error. The only problem that I've noticed is that there are four bogus requests for files related to the skin, but the upload worked correctly. We are having this issue. It happens when ckfinder first loads. After a browser refresh it works fine again, and the multiple uploader appears.